As circuit components whose resistance varies with temperature, thermistors have a broad range of applications in the electronics industry. All materials have resistance, and to some degree, that resistance varies with temperature for all materials. In a conductor or conventional resistor, this variation is negligible, but in a thermistor, a single degree change in temperature can produce a resistance change of 100 ohms or more. 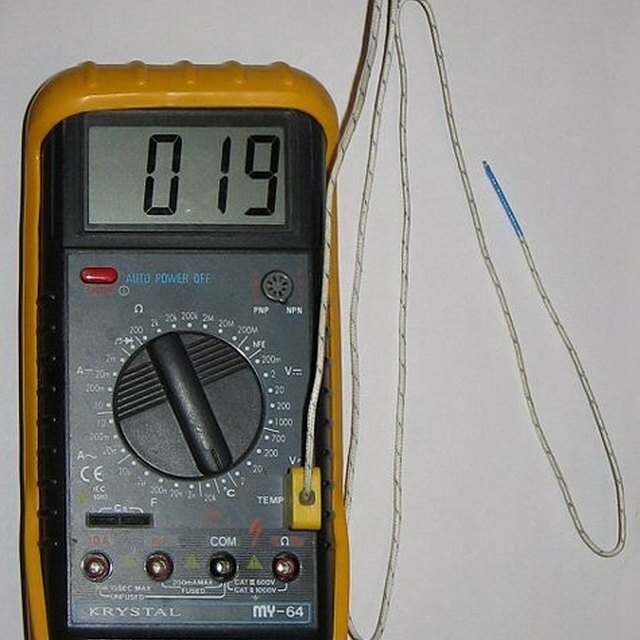 Each thermistor works within a characteristic temperature range. The resistance of a negative temperature coefficient thermistor, which is the most common type of thermistor, goes down as the temperature rises; that of a positive temperature coefficient thermistor goes up with rising temperature. Manufacturers form thermistors into a variety of shapes for use in different types of circuits. The most common is the bead thermistor, which looks like a conventional resistor with its cylindrical body and leads extending from each end. Variations include disk, chip, rod and washer-shaped thermistors. Thermistors are small, durable solid-state devices, and not very expensive to manufacture, so they have a broad range of uses. NTC thermistors are classified according to their R25 values, or their resistance at 25 degrees Celsius, as well as the time it takes to react to a temperature change and the power rating with respect to current. These values are determined by the semi-conducting materials used in the manufacture. These materials include oxides of manganese, nickel, copper, cobalt or iron, which are ground into a powder, mixed with a binder and heat-treated to produce a ceramic material. The leads may be inserted in the slurry before heat treating or added afterward. They are strategically spaced to take advantage of the conducting properties of the thermistor medium. In an NTC thermistor, the resistance decreases with rising temperature because heat causes the semi-conducting materials in the slurry to release more conducting electrons. In a PTC thermistor, however, temperature decreases the conductivity of the material. A PTC thermistor can be made from silicon -- which is called a "silistor" -- or from a polycrystalline ceramic material doped to make it semi-conductive. Both become more resistant to current flow as temperature increases, but in the second case, the relationship between resistance and temperature quickly changes at a threshold temperature, and the device quickly becomes very resistant. This type of thermistor is known as a switching thermistor. The properties of PTC thermistors are useful for over-current protection, because resistance causes the device itself to overheat. They are also used in self-regulating heaters, as time-delay switches and in motors to cut the ignition current once the motor is running. NTC thermistors, which can accurately monitor temperature, have more applications than PTC ones. 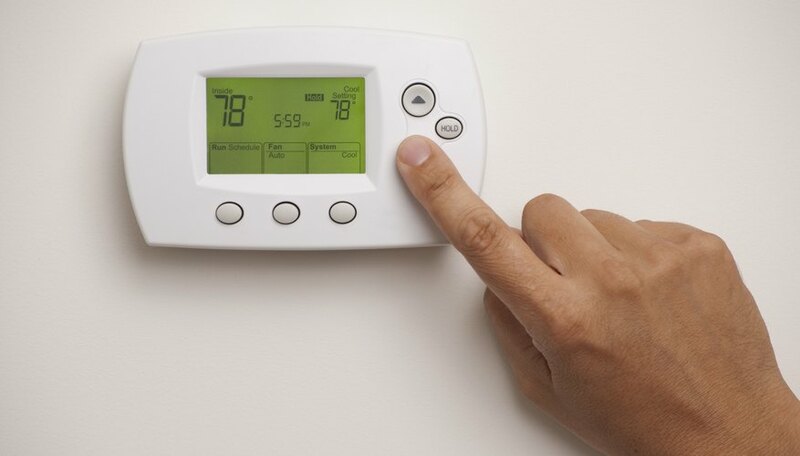 They are components of many types of thermostats, both in building and automobiles, and because they can also detect the presence of liquids by temperature characteristics, they are used in well pump and other types of switches. NTC thermistors are usually components of digital thermometers and sensors that regulate power to a device based on temperature. Deziel, Chris. "How Do Thermistors Work?" Sciencing, https://sciencing.com/thermistors-work-4709009.html. 24 April 2017.